The EU supports the Romanian Dog Slaughter! EU-funding is possible because of the ordinary taxpayer in EU-countries. The engineer from Sweden. The farmer from France. The shopkeeper from Italy. From you... from me! Our money... THIS money is used to eradicate rabies from those countries where it is still prevalent. So far... so good! BUT a condition of a country accepting EU-funds for this purpose is that it enacts a humane, cost-effective stray animal control strategy in accordance with international best practice. Its Neanderthal-reaction to the millions of street animals which have been allowed to breed uncontrolled by previous governments, is not to comply with these requirements. Instead, Romania is in the process of implementing dog population control by way of removing hundreds of thousands of dogs. In other words: killing. The Methodological Norms (the killing norms) were adopted to fight rabies and protect human health, and killing is NOW taking place across the country. Often this is death by grotesque means. Encouraged by governmental exhortation, this is being enacted in the streets, in shelters, in the fields and in the woodlands. And YOUR money is supporting this! YOUR money! The EU have the power to freeze this funding until a humanely compliant strategy is adopted. But will they? Your voice can decide! Your voice can be heard in the Hallowed Halls of the EU where elections are due in May! 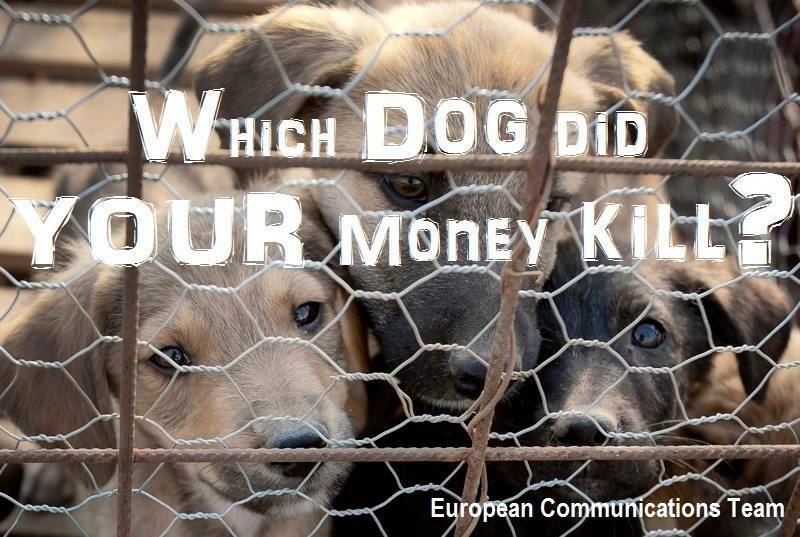 Your voice can ask: "Which of these helpless creatures did MY money kill today? MY money! In MY Europe!" according to the wish of animal protection and advocacy. and mention the source when re-posting.